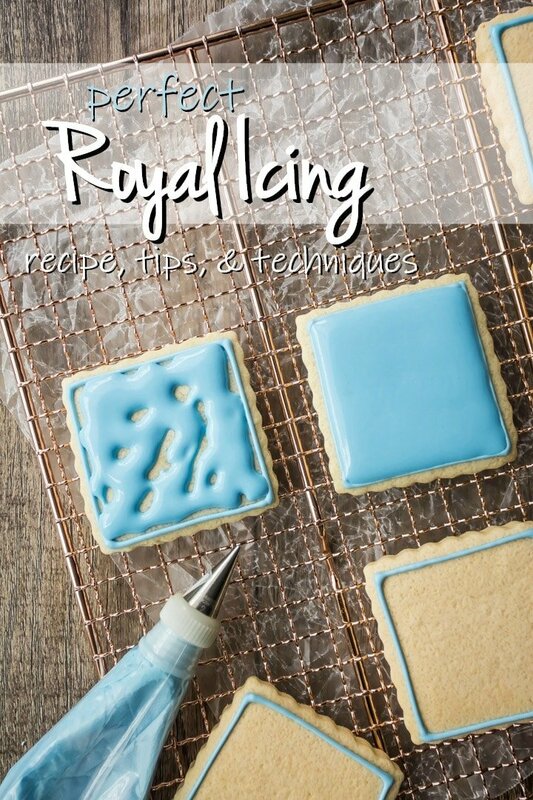 The only royal icing recipe you’ll ever need! Perfect for decorating cookies, cakes, cupcakes, & gingerbread houses. Easy, pipes smooth, & dries hard. 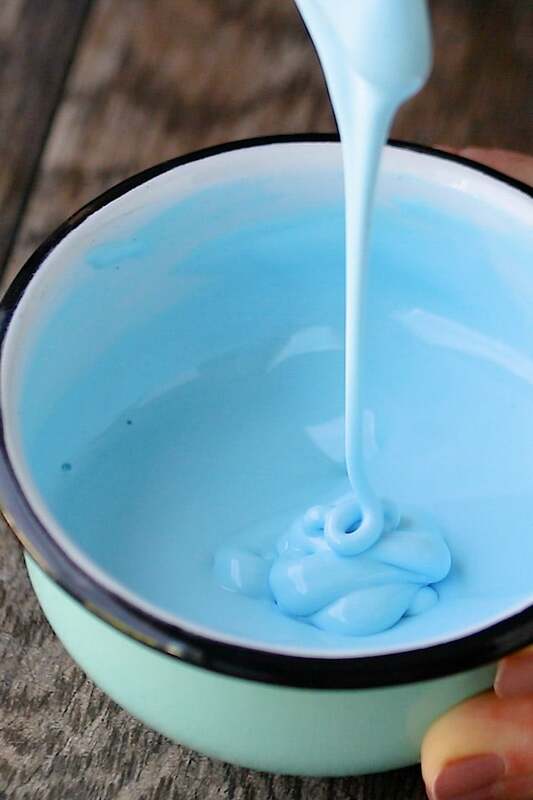 Today I have a basic recipe for you that every good baker should know how to make: Royal Icing! It’s a total staple. You’ll love this royal icing because it’s easy to make and perfect for so many things. You can use it to make transfers, pipe roses or intricate embroidery-like accents on cakes, to glue together a gingerbread house, or to make my favorite: decorated cookies. I have a few great cookie recipes on this site that are just begging for a little royal icing embellishment! Be sure to check out my Cut-Out Cookies that Don’t Spread, Chocolate Cut-Out Cookies, Gingerbread Cookies, and Soft Cut-Out Sugar Cookies. As it dries, it hardens to the consistency of candy, similar to like button candy or a smarty. Hard enough to not smear, but not so hard you can’t bite it easily. It’s perfect for piping decorations. Pipe out your image, flower, or whatever, then set it out to dry for a few hours or overnight. WHAT DOES ROYAL ICING TASTE LIKE? Royal icing mostly just tastes like sugar. It’s very sweet, and most meringue powders will also give it a subtle vanilla flavor. You can jazz up the taste by adding lemon juice or any other kind of extract, but just be aware of how liquids affect the consistency. 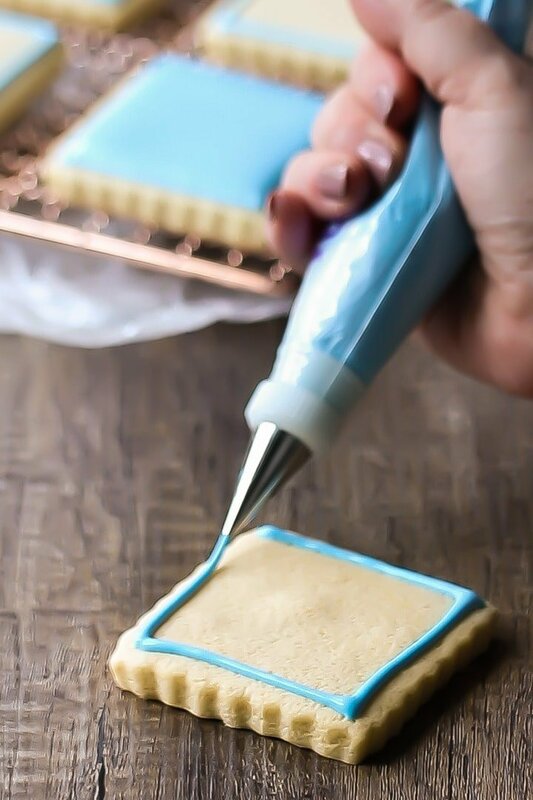 Decorating with royal icing is ALL about the consistency! 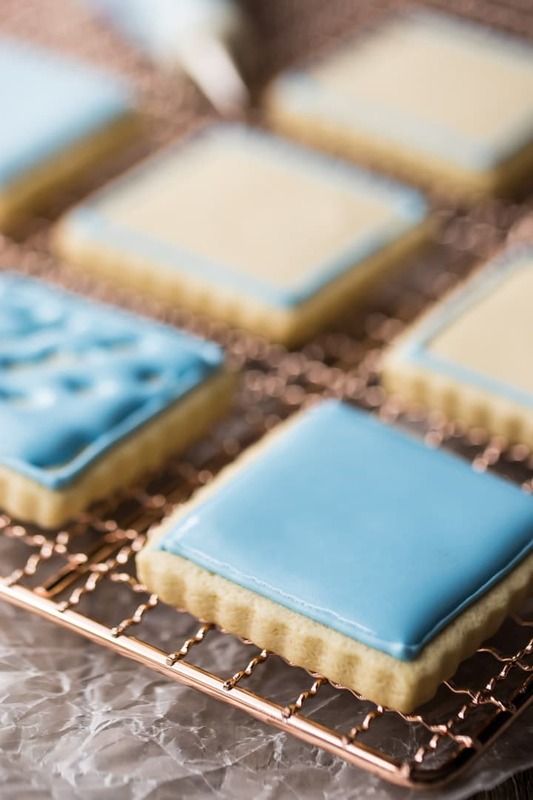 Royal icing can be tinted in all sorts of colors. You can use any kind of food coloring you like, but I have a strong preference for gel paste icing colors. They are highly concentrated, so not only do you not need much, but you don’t have to worry about them diluting the consistency. Like I said, when it comes to royal icing, the consistency is so important! You want to start out by making your icing as stiff as possible. Whip it for a long time so it gets lots of air in it. Then, scoop a little into a small bowl, and tint it with your icing colors. Last step: thin it down to the consistency you need. If you are making a gingerbread house, you probably want it to be very stiff so that it can hold the structure together. Same goes for piping roses or any other kind of flower. 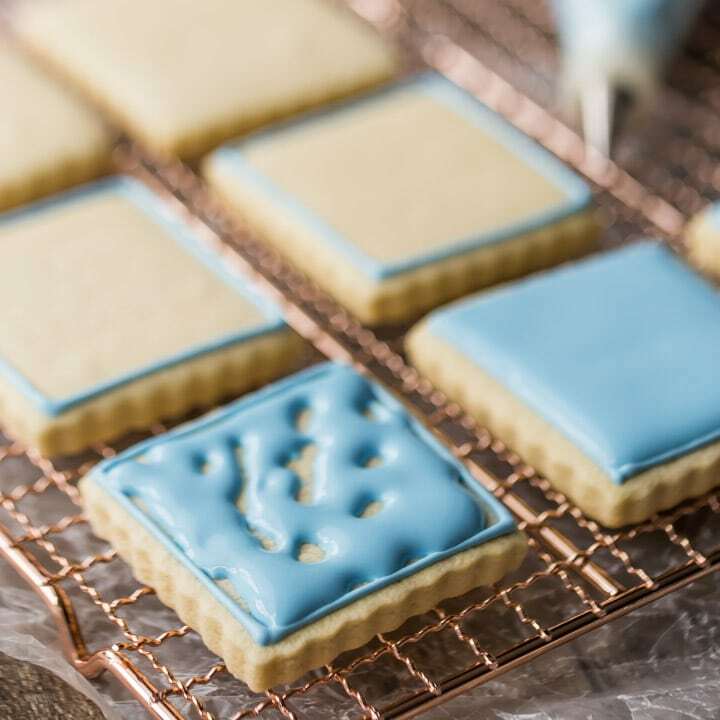 If you are making a royal icing transfer, or decorating cookies, it’s nice to have 2 different consistencies: one that’s pretty thin for flooding, and one that’s a little stiffer for outlining. The flood icing will sort of self-level. In other words, when you pipe it out, it will naturally spread and smooth over perfectly flat. The outline consistency icing will hold the flood icing within its barriers, so it doesn’t spill over the sides of the cookie. You can also use it for accents here and there, to give the decorated cookies a little more dimension. Stir a few drops of water at a time into the bowl of tinted icing, until you get the thickness you’re after. If you’re not sure, take a peek at the video (just above the recipe card) to see what flooding icing and outlining icing should look like. Once your royal icing has been piped on, you can set it out to dry. After just 15 to 30 minutes, it will form a thin crust on the surface, but it generally will stay wet underneath for several hours. I usually set my cookies out (in a single, flat layer, on parchment-lined baking sheets) overnight to dry. They won’t get stale that quickly, because the royal icing actually serves almost like a barrier from the air. I would not recommend drying royal icing in the refrigerator or freezer. The humidity levels can be funny in there, so room temperature is best. If you need to speed up the process, just set up a fan nearby. HOW LONG DOES ROYAL ICING LAST? Royal icing really won’t ever spoil, because the sugar content is so high that bacteria can’t grow. It’s really a lot like candy. But having said that, you will notice the quality will degrade over time. After 24 hours, the royal icing will become more thin and watery. It can be thickened back up with a little more powdered sugar, if needed. After 36 hours, it may start to separate. You can stir it though, and it will come back together. After about 48 hours, you might start to notice a grainy texture. I don’t think there’s any way to recover it from that state, so I generally try to either use up or throw away any leftover royal icing after 2 or 3 days. I like to re-use my piping bags (even the disposable plastic ones sometimes), so I included a little trick in the video below that makes cleanup a snap! Basically you just enclose the icing in plastic wrap before placing it into the piping bag. That way, when you’re done, you just slide out the wrapped-up icing, and you really only have to clean your tips. I also like to twist the end of the bag and secure it with a rubber band or twisty-tie. It keeps everything together nicely and if any icing comes up the top, it doesn’t harden and scatter dried icing crumbs everywhere. If you’ve ever used royal icing before, you may remember feeling frustrated when it hardens at the tip. It only takes a few minutes for the icing in the little pinhole of your piping tip to harden, and then you can’t squeeze it out at all. You can break it up with a toothpick, but then sometimes you’re forcing hardened icing into your tip and creating a clog. So, try placing a damp towel in the bottom of a drinking glass, and keep your bags (tip side down) in there. That little bit of moisture in the paper towel will prevent those clogged tips from happening. Do you like to decorate with royal icing? Have you ever made a recipe like this? Do you have any other great tips that make things easier? If so, I hope you’ll share in a comment below! The only royal icing you'll ever need! Perfect for decorating cookies, cakes, cupcakes, & gingerbread houses. Easy recipe, pipes smooth, & dries hard. 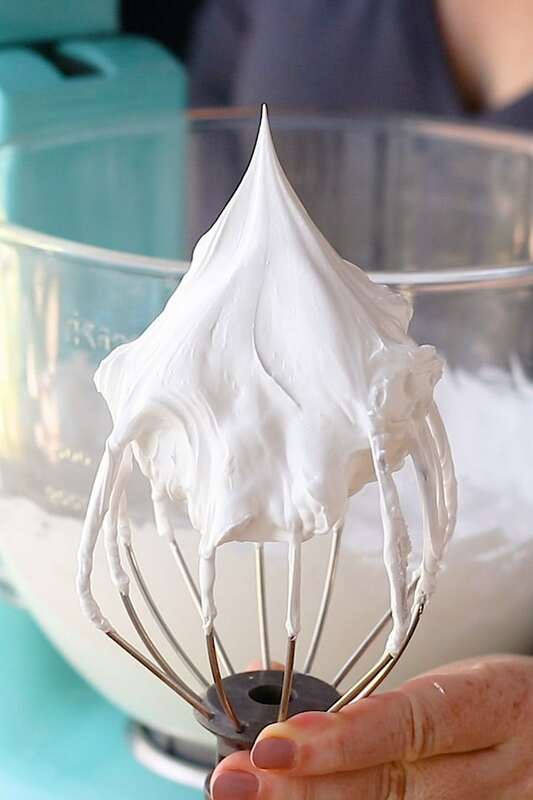 Place the meringue powder and water in a large mixing bowl, and whip (with the whisk attachment) until foamy (about 3 minutes). Add the powdered sugar, and whip on medium speed until very stiff and thick (the royal icing should hold a stiff peak). Tint as needed with gel paste icing colors. Thin with additional water, a drop at a time, to get the desired consistency. You are a master at making beautiful decorated cookies and yours is the royal icing I will make from now on! Such a classic versatile recipe! Perfection! Thank you for this! This is perfect for making pretty cookies!! Yes, absolutely perfect! Love it! I’m going to use this recipe today. How did you get that beautiful baby blue color? Hey Teresa! I used icing colors to tint it. It’s explained and linked within the body of the post, then linked again just above, as well as within, the recipe card. I used the blue color. Good luck and enjoy! I just made your sugar cookies and chocolate cookies. I also made the royal icing for the sugar cookies and I’m wondering how long does the icing take to harden so I can pack them up. I don’t want to stack them too early. Thank you so much for these delicious recipes and videos. They are my go-to’s from now on. Hey Kathy! Thanks so much for trying my recipes and thank you for the great question. It’s going to depend a lot on the humidity level in the air, but I find that overnight usually does the trick. I hope that’s helpful! And I’m so glad you like the cookies! You make this look so easy! 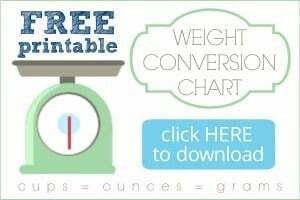 What size tip do you use? Hi Sheryl! It depends on the kind of decoration you’re looking to do. I think for the plain, flood iced cookies you see here it was probably a #3 round tip. Thanks for reading! How many average size cookies will this recipe frost? What size would you consider average? Can it be frozen and rethawed? Hi Charles! I’m afraid I wouldn’t recommend it. I have not tried it, in all honesty, but in my experience the royal icing typically only lasts for a few days before it starts to separate. Over time it can also become grainy. Luckily it’s really quick and easy to make, so I usually just make up a new batch every time I start a cookie decorating project. You could also halve the recipe without a problem, if it seems too much. Would I be able to use this for a gingerbread house? Or is that another type of icing? Yes this is typically what is used for a gingerbread house. I am planning my sons kindergarten Christmas party. I have decided to do graham cracker ginger bread houses. I will be preparing them at home using your frosting recipe. I want to make enough for the kids to use the frosting at the party to decorate but afraid if I make it in advance it’ll harden before the party. What would you suggest so the frosting is nice and soft? How soon in advance should I make it? Hey Amie! That sounds like a lot of fun. You can make this icing the day before and keep it in an airtight container. As long as it’s covered tightly it won’t harden. Good luck and enjoy! What a brilliant, helpful post! Thank you. I will be trying it out and using your tips. My pleasure Jessica! Hope you enjoy! I am having a little trouble with the drying process. I left them out overnight, and they are mostly dry but I am wondering if they need to be even drier. I live in Florida and it is very humid here. I am thinking that is slowing down the process. I don’t have a fan as you suggested but do have air conditioning in the house, of course. Also, this morning, the icing is no longer glossy, it is more of a mat finish, which is disappointing! Do you think the humidity is causing both of these problems? Hey Susie! So sorry you are having trouble! If you live in Florida, the humidity can definitely trip you up. 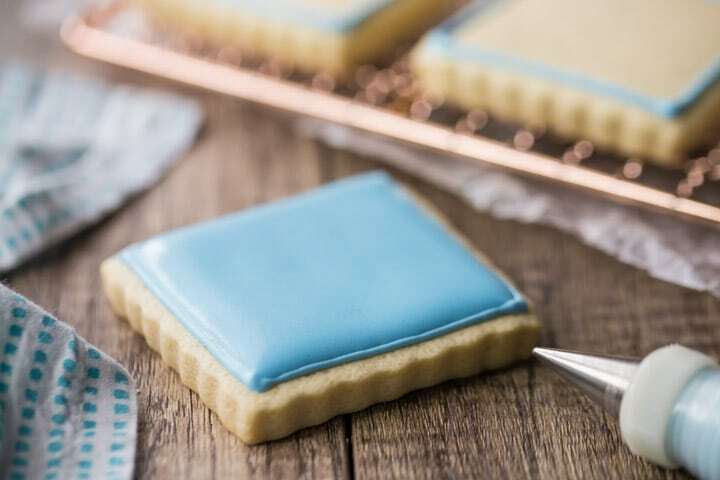 Royal icing does dry down to a matte finish, so expect it to lose it’s glossy quality. It will first dry on the surface, and over time it should dry all the way through and end up with a candy-like texture, similar to like a Smarty or button candy. I’m planning on using this recipe to ice some sugar cookies and gingerbread cookies, but I’m new to flooding with royal icing. Can you make a piping consistency icing, outline all your cookies, then thin that same icing to flooding consistency and flood them all? Or do you need to make both piping and flooding icings at the start before they sit too long? Hey Shawna! You can definitely do it that way, although I prefer to make both at the start just because sometimes I will go back and add accents to the flooded parts (after they’ve dried) with the outline icing. But it’s totally up to you! This recipe came out really nice and neat! Perfectly sharp edges, no spreading or distorting while they were baked, and a nice solid texture for decorating without being too tough. (Your royal icing recipe is also perfect, btw!) Putting the cut cookies in the freezer before baking helped with the shape also. However, I wasn’t really a fan of the flavor. The corn starch gives the cookie dough kind of a corn chips flavor/smell that is really persistent. I ended up adding some nutmeg which complemented it and baked it a little over until the cookies started going golden. Mellowed out the corn taste, but it still didn’t go away entirely. I wonder if maybe different brands have less flavor? Hey Suzanne! I’m wondering if you used cornmeal rather than cornstarch? Cornstarch is a very fine white powder and it is completely flavorless. I usually use Argo brand and there is no corn flavor at all. Where do you get your cookie cutters? Are they rust resistent? I have all kinds. Some are and some aren’t. Stainless are my favorite kind since they stay sharp and never rust. Amazon is a great resource but I buy them wherever I see them, at cooking stores, Walmart, etc. Hope that’s helpful Marilynn! Hi, if I don’t have meringue powder what can I substitute for it?